Crane AI is an AI-powered web tool that help product development teams build mobile software quicker. It uses machine learning and computer vision technology to understand the kind of apps users are trying to build and uses the data to help streamline the development process by providing the code infrastructure and tasks needed to complete the project. Due to a NDA, I have omitted sensitive information regarding the product and company in this case study. When I joined the team on April 2018, most of Crane AI was built out. 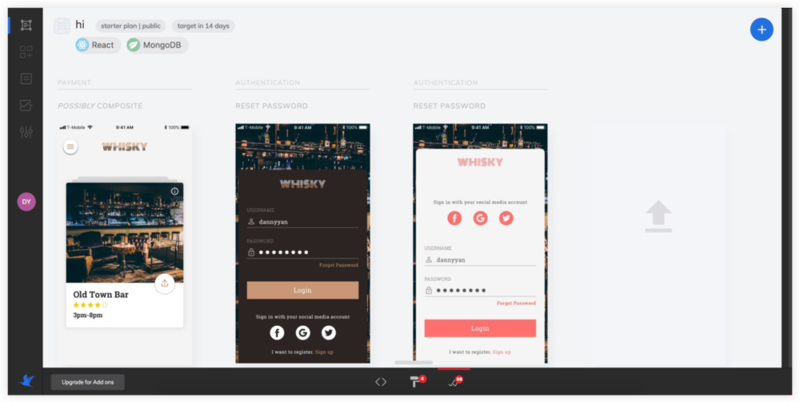 The product was due for launch in 3 months, and stakeholders needed the UX team to test out their existing platform, and uncover any friction points within the product. I worked alongside with a UX Designer (Michelle Lee), our CTO and development team to redefine the platform’s experience. I was responsible for user research, interaction design, wireframing and usability testing. After the research and ideation phase, I was briefly assigned to the computer vision team and came back later to help with the interaction design and wireframes. To kick-start our first sprint, Michelle and I developed a research plan to test the usability and navigability of the platform. We sent out surveys to our network and recruited 9 participants that consisted of software engineers, designers and product managers. Participants were screened based on their previous experience within a product team setting. In our research efforts, we discovered an unexpected insight into how user’s felt about the interaction design of our product. At the time, users interacted with one of the platform’s main feature by communicating with the system through a chat system that utilized N.L.P (Natural Language Processing) technology. 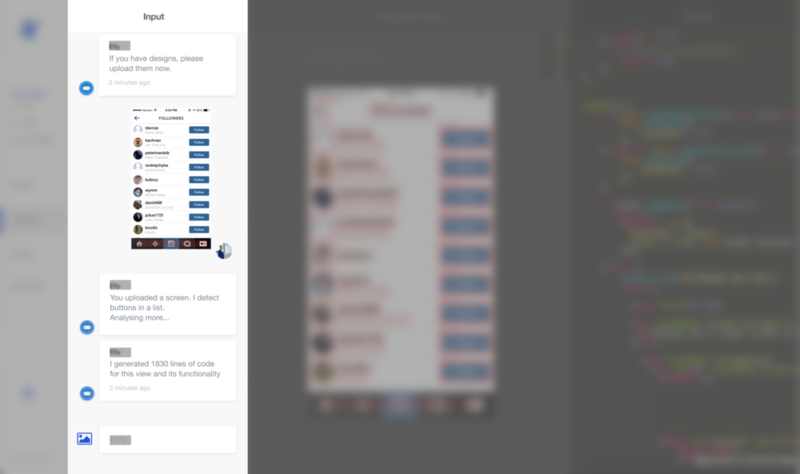 A screenshot displaying the chat system which users had to use to utilize the “Design” feature of the platform. Due to a NDA, I have omitted important areas of this screen. To allow users to execute a function by “speaking/chatting” with the A.I. may seem like a novelty and revolutionary way of interacting with a machine, however, we found the case to be different. When we tested the interaction between the users and the chat system, we found users disliking it or were confused because it was not an interaction that was intuitive. User’s responses and attitude towards A.I. based chat system. After presenting our findings to the entire product development team, we agreed to restructure the platform’s information architecture, usability issues and interaction design. Michelle and I led meetings with the development team and CTO to organize all the issues and tasks on Trello and assigned priority points via (Number Game). We made sure the design and development team held daily scrums to make sure we were on track. We found users to be confused about the product based on the user research prior me joining the team. The marketing team wanted to frame the product as an innovative A.I. tool. This caused users to be confused about the concept and did not understand the technology’s system process that was going on. To help users understand the concept of the technology behind our platform, we set 3 principles that drove the direction of the designs and interactions. Due to changes in the company’s strategy, the product launch has been put on hold.